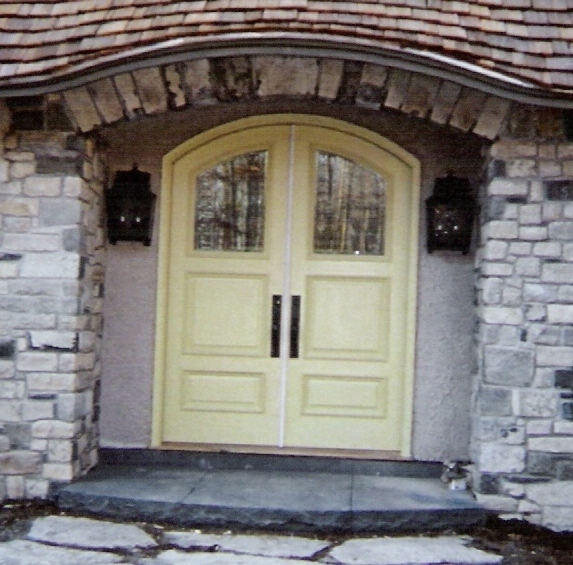 Entryway door unit with side lights and transom -new construction in GA Double french doors with side lights to match - restoration project in Catskill NY Custom designed exterior doors for new construction in MD -- golf course resort lodge. Radius arch top double door unit - insulated bevel glass, wood panel with applied molding, custom design for new construction in Thousand Island NY. 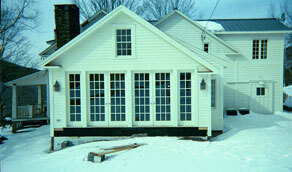 True arch top entryway door unit with double pane glass with simulated mullion window and wood panel - duplication of existing door - project in Watertown NY Dutch entryway door unit with side lights - double pane insulated glass for side lights and simulated mullions- reproduction of existing - project in PA. 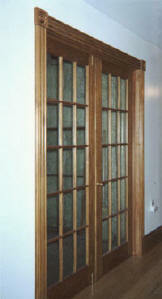 Interior door unit - double french doors with gothic arched top transom window - new construction in CA. 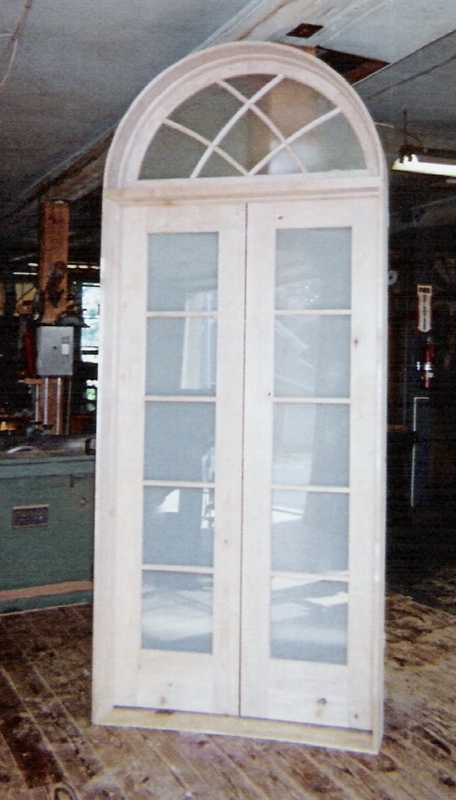 Interior double french door unit - single pane true divided mullions division between rooms - project in NY Interior arched top double french door unit - single glass panel - restoration project in Main. 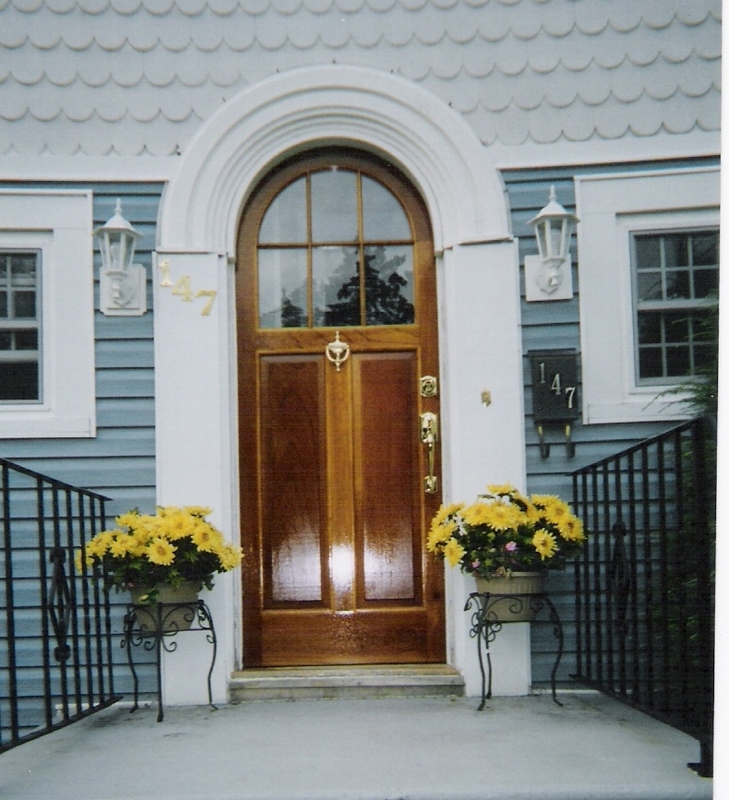 We specialize in manufacturing custom wood doors ; replication of existing, custom design, interior, exterior, entryway, arch top, gothic, french, glass, solid wood panels, flat, raised, single and double, closet, pocket, patio, garage, storm and screen doors as well as storm / screen combination insert doors. 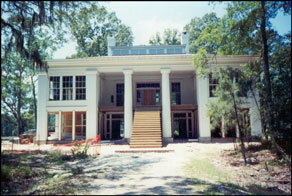 Mullions : we provide true divided lights as well as simulated mullions for glass doors. simulated mullions to both sides to give elusion of true divided light appearance. (wavy or antique), pattern, obscured, laminated or tempered safety glass available. We build door only or complete unit as per customers request. 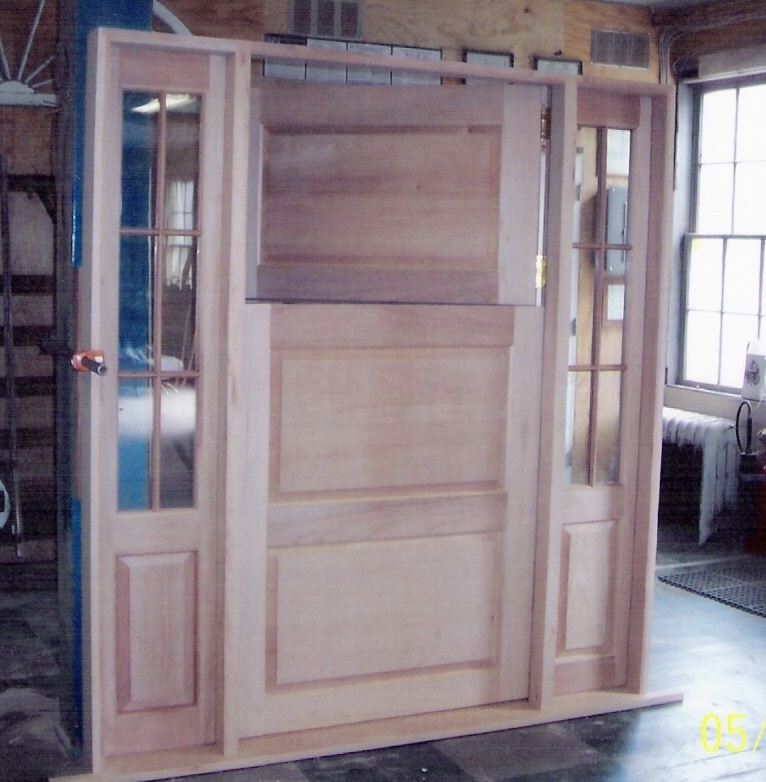 Our doors are all custom built and constructed using mortise and tenon joints. We custom build quantity of one or many to meet you need. We work from samples, drawings, or pictures.